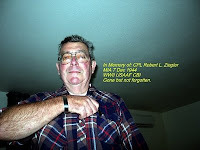 I have been working on the recovery of my cousin, CPL Robert L. Ziegler for many years. He and his crew members are a shining example of how political struggle can frustrate the recovery of our service members. I am told by our government that a request for permission to search for his aircraft and eleven crewmembers has been submitted several times since 2006. I am getting old and would like to see this resolved before I pass on. At the very least, they deserve to be recovered and returned to their homeland and buried on American soil. Thank you for your support.